I will always remember when I first read the following article. We were flying in to Kharthoum Airport while the pilot was pointing out fires and explosion of tanks on our first choice glide path!!. The explosions were all in my head though as we had just began our first steps on conservation/sustainable tillage a few days earlier, and we had a little affirmation that we were exactly on the right path. Since we began farming in Malawi, I was convinced of a better way and so we have used no artificial fertilizer or chemical pesticides on our farms for the past six years, while promoting green manures, rotation, ground cover and retaining residues, with minimum disturbance of the soil. All around us they burned everything, built up depleted acid soils and were generally seduced by the (dubious) science of the foreign “experts”. While the gurus of foreign nations and the onslaught of the foreign NGO brigade peddled genetically modified seed and noxious chemicals, we plodded along and tried to research what grew and how to match the pests! On this last trip we find that our neighbours are copying what we do and even the Ministry people are advising farmers to grow and use “our” plants for pest control!!!! Anyway, this articles excites me, but I certainly realise that the farming world has little notion of turning. Only the general public can decide how the future of farming will look by making their choices. IT’S becoming clear that we can grow all the food we need, and profitably, with far fewer chemicals. And I’m not talking about imposing some utopian vision of small organic farms on the world. Conventional agriculture can shed much of its chemical use – if it wants to. This was hammered home once again in what may be the most important agricultural study this year, although it has been largely ignored by the media, two of the leading science journals and even one of the study’s sponsors, the often hapless Department of Agriculture. The results were stunning: The longer rotations produced better yields of both corn and soy, reduced the need for nitrogen fertilizer and herbicides by up to 88 percent, reduced the amounts of toxins in groundwater 200-fold and didn’t reduce profits by a single cent. In short, there was only upside – and no downside at all – associated with the longer rotations. There was an increase in labor costs, but remember that profits were stable. So this is a matter of paying people for their knowledge and smart work instead of paying chemical companies for poisons. And it’s a high-stakes game; according to the Environmental Protection Agency, about five billion pounds of pesticides are used each year in the United States. Debates about how we grow food are usually presented in a simplistic, black-and-white way, conventional versus organic. (The spectrum that includes conventional on one end and organic on the other is not unlike the one that opposes the standard American diet with veganism.). In farming, you have loads of chemicals and disastrous environmental impact against an orthodox, even dogmatic method that is difficult to carry out on a large scale. The Marsden Farm study points to a third path. And though critics of this path can be predictably counted on to say it’s moving backward, the increased yields, markedly decreased input of chemicals, reduced energy costs and stable profits tell another story, one of serious progress. Perhaps most difficult to quantify is that this kind of farming – more thoughtful and less reflexive – requires more walking of the fields, more observations, more applications of fertilizer and chemicals if, when and where they’re needed, rather than on an all-inclusive schedule. “You substitute producer knowledge for blindly using inputs,” Davis says. This study not only questions those assumptions, it demonstrates that the chemicals contributing to “environmental externalities” can be drastically reduced at no sacrifice, except to that of the bottom line of chemical companies. That direction is in the interest of most of us – or at least those whose well-being doesn’t rely on that bottom line. Sadly, it seems there isn’t a government agency up to the task of encouraging things to move that way, even in the face of convincing evidence. For a year now we have a new 6 hectare farm, managed by a young couple, with this same plan. Its a 10 year plan and we’ll see how it goes. We have added agroforestry and a wood lot and of course wells and pumps, for our particular circumstances in Malawi. Sustainable farming techniques are being sidelined in favour of a quick-fix solution; modern seed varieties (MVs) that produce better yields if treated with synthetic fertiliser and pesticides. Such inputs are expensive and the seeds need frequent replacement. In Asia, the use of MVs in a head-long rush for bumper harvests has been shown to accelerate soil degradation, destroy crop diversity and encourage farmers to go into debt. As Africa seeks to banish hunger, sustainable alternatives that can boost production, incomes and food security, help conserve soil and water and build resilience to climate change remain badly are treated as a backward joke, because a myriad of per diem agents as advising a better way and I’m sure the Mont Santos of this world are contributing to the pot as well. I have no axe to grind with either side in this biased debate between the financial and farming world, but I do know how the poor farmers in Northern Malawi should go, and I would like my grandchildren to know what good soil is, and what noxious pesticides can do to our health. Speaking of grandchildren as we, today, await a second bundle of joy, I feel that the good message will be handed on very well. Our oldest has already made the move. Having done a PhD in Chemistry and then spent a couple of years in the strange world of agrichemicals, he went to South America for a few months, which showed him in the error of his ways. Re returned, gave up the job and now plays music full time. (That’s his story). Of course this weekend playing at the Cambridge Folk Festival is not wholly unattractive!! The Green revolution of Asia should have warned Africa, but maybe the usual corruption, by the really corrupt, deliberately ignored the possible lessons which include widespread soil degradation, increased vulnerability to pests, farmer debts, a decline in traditional farming knowledge, increased inequality in rural communities, loss of biodiversity and increased greenhouse gas emissions from industrial agriculture. In recent years, interested parties including the World Bank, the UK’s Department for International Development (DFID), USAID, the Rockefeller and Gates Foundations and African governments have promoted a Green Revolution for Africa where solutions they advocate seem to focus too narrowly around promoting synthetic fertilisers and pesticides, which were behind many of Asia’s problems. There are concerns about a number of initiatives funded by the Alliance for a Green Revolution in Africa (AGRA) founded in 2006 by the Rockefeller and Bill and Melinda Gates’ Foundations, and supported by DFID (and maybe the Irish Government). Working in 12 African countries, it funds important projects promoting improved seeds, soil health, market access for farmers and finance and policy work. It also aims to increase productivity by improving farmers’ access to mainly hybrid seeds – part of the MV range – and inputs such as chemical fertilisers. A recent report says that AGRA funded agro-dealers in eight countries are selling ‘ever more quantities of chemicals to farmers and increasing their reliance on inputs’. In Malawi, where AGRA operates, ‘the principal beneficiaries of these efforts are the key suppliers of the inputs, mainly Monsanto,’ it says. The report says 70 per cent of the world’s nearly 1 billion hungry are smallholder farmers and the rural landless who have been long locked into a cycle of low productivity, lack of assets and services and weak market power. Today, they also face the effects of climate change, land degradation and ground water depletion. The report gives examples of successful sustainable agriculture techniques that can help. Low external-input organic soil and crop management techniques such as integrated pest management and zero or low till farming, enabling a radically reduced reliance on, or complete avoidance of, synthetic fertilisers and pesticides, looks like a no brainer, but what has that got to do with anything. But after all: Who the hell do We think W are. And maybe History need to get off the page. Malawi is a country with a myriad of problems. The police opened fire on unarmed protestors, allegedly resulting in the death of 18 people. Journalists in particular were singled out, and were arrested, harassed and beaten. A media black-out was ordered and the press was banned from airing live broadcasts of the protests. Acute shortage of forex and fuel is resulting in shortage of even the most basic of foodstuffs like salt. The expulsion of the British High Commissioner (the first ever in the Commonwealth) has resulted in withdrawl of much needed funding for the health care system. Other foreign donors, including Germany and the US have suspended aid to Malawi as well, citing poor governance . The African Commission on Human and Peoples Rights recently passed a resolution that calls on the Government to end the campaign of intimidation against civil society. The fertilizer subsidy, on which the whole plan for food security was based has been drastically reduced, where even the extremely poor will not benefit this year. Even though this exercise was hailed and supported by all the gurus of the Aid World, there is no exit strategy or plan B in place. The plan supports maize production using hybrid maize seeds and chemical fertilizer which is subsidised by a grant worth 80% of the cost. In Northern Malawi where we work, years of use of such fertilizer has depleted the soil, made it acidic and robbed it of organic material. Anyway, who knows where intergovernmental funding ever goes in Malawi or in many other countries where accountability is difficult to achieve. Boxes are ticked and more money comes. Now ordinary, thinking Malawians wonder where all the donor money has gone and what has it all achieved. We went to Malawi in 2005 and got a brief glimpse of a sub Saharan country for the first time. My abiding memory is looking at hungry women and girls, needlessly hauling dirty water long distances, for family needs, while an array of broken pumps lay unfixed and certainly unfixable by local communities. I also noted that the depth of the water table was in the 3 to 6 metre range. (Six months later, I visited a pump where I celebrated its installation, with hundreds of villagers to find that the water level had dropped and the pump was useless because it had a limit of 6 meter depth, a normal story). Pump broke and was removed. Villagers returned to the stream. I woke up at 4am one morning before we left and vowed (after I ranted) to do something about it. It wasn’t easy. I sent hundreds of emails to individuals and organisations. The organisations who did reply suggested I give them the money, they were the experts and what would I know about it anyway. Of course this attitude prevails. Finally I contacted Professor Richard Carter, then in Cranfield University,UK and now Technical head of Water Aid and Chairman of RWSN, and then we were on our journey. We located Richard Cansdale, in Hartburn outside Newcastle in the north of Englsnd. He had spent years developing a pump originally designed by Alan Jones in New Zealand and our quest was over. This was and is the pump which really does what it says on the tin! This year, we decided to source all pump making materials in Malawi so we redesigned our pump to suit the materials available. We now make it with less manufactured parts, with readily available materials and after field trials, its a winner. Seed retailers in Malawi have only hybrid seeds, so we bought land, imported O.P. seeds and multiply them. This year we produced about 500kg of seeds. Malawi grows no apples, so we brought out rootstock and scions (with European Passports) from Irish Seed Savers in Scarriff, Co. Clare and we had our first crop after two years. This year we have nearly 600 seedlings with the scions generously donated and delivered by the staff at Irish Seed Savers. Vitamin C in a diet helps the ARV drugs to give improved quality of life to HIV/AIDS sufferers. 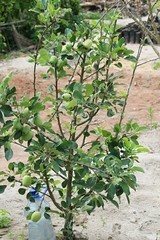 We began a project to produce improved variety citrus seedlings by budding on to local lemon rootstock. We produced over 10,000 improved variety citrus seedlings over the last two years for distribution. After water, firewood is a huge chore for women, so we encourage villagers to grow thousands of acacia trees. We give them the seeds, which are inexpensive, often in return for lemon seeds! A recent survey with our SHG cluster showed lack of labour as a real issue at maize planting time. We went to our friends in Zambia to look at their conservation agriculture programme using minimum till. With the use of lime and local maize seeds give much increased yields. We have sent our guys to work and learn in Zambia and will mainstream the system on their return. Big problem, simple solution. Of course changing culture and tradition is never easy. The Canzee pump, conceived in New Zealand and worked on for years, by Richard Cansdale, in the UK, is an amazing piece of simple ingenuity. Mainly plastic in construction, it consists of two pipes one inside the other, with two simple non return valves using the inner tube of a bicycle, has one moving part with no friction, it seems to last forever, costs 30 Euro to make in our factory in Mzuzu and most importantly, if it does go wrong (rare occurrence), the women who use it can fix it with three nails. The parts for this pump came initially from the UK and with the duty charged by Malawi Revenue, were now expensive. The solution was to design a new version of the pump with all materials available in Malawi. In the redesign process we have fewer manufactured parts. These new Zoe pumps are in use since June and working without a hitch. This is now a University of practical learning for many farmers in Northern Malawi, where the hostel on the farm provides accommodation for students. The co-operative management, planning and day to day hard work is done by four men and five women. 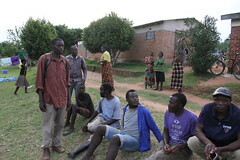 Next year we will mainstream a new programme on Conservation Farming when our people have had training in Zambia. Growing and multiplying green manure seeds, Sunn hemp, tephrosia and velvet bean, for distribution is important, as is research on the use of Tephrosia, Dahlia and others to produce an effective local pesticide. The Birthing Centre continues to meet many needs, including ante and post natal clinics, early childhood care, and home based care for HIV/AIDS. Padre Pio is the local secondary school. We supported the building of the school and the construction of a hostel for girl boarders. Over the time we have built 1 Volunteer house,1 Hostel on the farm for accommodating student farmers,1 Boys quarters, 4000 sq ft factory unit, 6 Staff houses. We have also managed to build a birthing centre, and support the building of 18 primary school classrooms, 1 classroom for a girls secondary in Chitipa Catholic parish and one Secondary school and hostel for girls for the Capuchin order. Support 6 preschools with 500 two to six year olds. Casca is our preschool trainer and caregiver. He visits the six preschools we support on his bicycle, and has empowered the village caregivers and porridge ladies by supervising and encouraging them. He gives weekly reports on all their activities. Have developed and deliver an in-service programme for primary teachers in co-operation with the District Education Managers and School Inspectorate, in the Northern region, which is becoming the basis of professional development in schools. The second course was carried out in July and August by Niamh O’Brien, Fiona Gearty, Maureen McFeeley, Noreen O’Riordan Máire McHugh and Mary Coyne, in conjunction with Anna Sichinga, District Education manager, Mzuzu. 200 teachers attended in 4 centres. As English is the language of education our objective was to facilitate the teaching of English in the early years through games, activities, songs, poems and dance. We used the Malawian curriculum and demonstrated practically wit 50 to 100 children. As a follow up, Mary visited 5 schools and 20 classrooms in Oct/Nov. The teachers were delighted to demonstrate their newly acquired skills Phase 2 is planned for Summer 2012, so we are actively seeking volunteer teachers. Can you, or anyone you know help? The Irish Trinity of SJOG, W4Z and Ungweru, 3 NGOs are now working more closely together in many projects areas. Patnership with SJOG, led by Br Aidan Clohessey was furthered when we got involved with their Self Help project. They work with 40 groups of women who have a savings system and provide loans to each other. To date we have provided new pumps and prepared others. 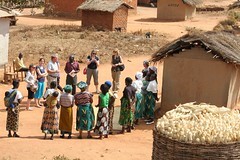 Cluster Representatives from the groups regularly visit the farm to learn and take home seeds and seedlings. Ungweru under the leadership of Fr John Ryan, professor of mathematics in Mzuzu University, (30 years in Malawi), engages with communities, identifying needs, facilitating community participation and providing training to communities on HIV/AIDS, Nutrition, Rights. W4Z install and maintain pumps and provide seeds, citrus seedlings, expertise and training in all aspects of conservation agriculture and food security. We also work with Mzuzu University, Mzuzu Technical College and The Natural Resources College in Lilingwe,(the biggest such College in Malawi) who send us interns and students to the farm, to learn practical aspects of all elements of their Degree courses. We partner CADECOM the Catholic Church relief agency on Citrus Seedling production and Numerous farmers co-ops on seed production and green manure seeds in particular. We also partner Mzuzu City Assembly, Mzimba District Assembly and The Ministry of Agriculture with whom we have Memoranda of Understanding. We thank everyone most sincerely for their trust in us to deliver 100% of their donations to the people who need it, without Black holes, Bureaucrats or Bean Counters. Even after less than a year of success (with the guidance of SJOG services and support from Germany), these women have, regained their lives, grown in confidence, grabbed their voice, can verbalise what they need: things like clean drinking water, preschools and adult education and are hugely motivated, knowing that all their success is attributable to themselves: We will also work with them on community gardens, to demonstrate the possibilities of Conservation farming and alternative foods. The final piece of the jigsaw is, a new cash crop, for them, Paprika, to replace the failing tobacco business. Our partners ECO have the market and we are now growing our first crop for seeds as the seed in Malawi is of poor quality after years of re-use. We call it our POP: a Permanently out of Poverty project and it certainly has all the ingredients needed to achieve this amazing turnaround in the lives of some of the world’s poorest, but amazingly spirited women. 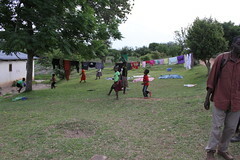 50 buildings with equipment and training for preschools, supporting communities to break the cycle of absenteeism and dire poverty, encouraging attendance by supplying one meal every day and facilitating transfer to primary school, 50 community gardens providing a hub for teaching and demonstration. These buildings, with full community support will double for Adult Education and often be used as clinics and even Churches. Also on the plan is 500 Bee Colonies, 100,000 acacia trees, 20,000 improved variety, citrus seedlings (some from Florida,California and Israel) which we propagate on the farm and a variety of Mango, Avocado, Passion fruit and apples all from our farm. By centering our programme in motivated and successful women’s groups, putting all this in place IS possible and gives a village an opportunity to become self sufficient and maybe even realize a fraction of their potential. Will it be easy? Of course not. If you feel that there is inadequate attention to financial, socio cultural and institutional sustainability can you advise and see how you might help. Besides this ambitious plan, we plan 1000 pumps for Zambia as well, bringing clean water to more than a quarter of a million villagers. In this we will have the support of Lifeline in Zambia, who are already on the job. We applied to Irish Aid for funding for this initiative, but they tell us they have better and more rewarding things to fund. So we are really taking up begging in a big way. We will soon(!) open a Charity Shop in Smithfield, Dublin. As usual any help would be great. Considering that the cost of giving a villager clean, safe drinking water is just one Euro, small money makes a big difference. People think we’re mad, but we know its true. Being mad allows you to do lots of crazy things!! If you know any, even slightly mad teachers, maybe they might join us for a few weeks in summer 2012. May you have a Happy Christmas and the New Year you have dreamed of. • Factory: After months of frustration with the District Commissioner for lands, changes of mind, payments for work we had already done and even more bureaucracy than Ireland we finally got planning permission and started foundations on July 30, featuring an amazing team from Blackrock College Outreach 2009, who matched the local experts on the hoe and pick, lost sweat and blood, but bruised and blistered achieved the unimaginable, by digging the foundations in two days. The second group carried and stacked out all the bricks In between they managed to blow bubbles and balloons, have some craic and keep the sunny side out. They Inspired, were Educated and definitely Challenged. What a crew!! The final push came when we found out that the Irish Ambassador to Malawi, Liam MacGabhann was coming to Mzuzu on November 6 and we wanted to show it off. He came; we were ready and he was impressed. The word is that we can now make about10 pumps a week, which can give clean water to 1000 remote villagers. This is an amazing achievement by our all Malawian workforce, without a mechanised implement in sight. In Mid January we got our electrical supply from Escom, two years after we signed the contract and paid. This only happened when we bought the cable 800 km away in Blantyre, having already paid Escom for it in the original contract. Imagine the only supplier of mains electricity haven’t the money to pay for cable!! Pump Installation: Wells are best dug by communities in November when the water table is at its lowest. The community then collect and build the bricks and make the concrete cover and include a metal coupler into which the pump is fixed. We supply the cement and screw in the pump when everything is ready. The preliminaries include visiting the village, getting a committee, doing a little deal which involves a commitment to contribute money, labour, and land to the common community or another community to give them the dignity of ownership. This after all is a hand up and not a hand out. When the pump is in, they owe us (a favour at least), and they know we will come to collect. When we have installed a pump, we then have a relationship with the community and the surrounding area and progress to look at other needs like seeds, irrigation, training and dams. We invite them to Lusangazi and try little by little to meet more needs. We figure (having talked to village women), that clean locally available water is the first step on the development ladder and it’s only upwards from there on. Of course will sell pumps to other Agencies and at the moment we have begun to supply pumps to about 5 groups mainly from the UK who have small projects here, who have learned how to install and maintain them. We also have orders from about 9 countries in Africa and South America through a US group called SIFAT who in turn work with and train Baptist Pastors from remote rural communities. We have a good and developing relationship with DIT ( Dublin Institute of Technology) and with whom we are developing a strategic plan for the future development trips and placements. On the pump side they are working on developing a new version of the pump so that it will soon be made from materials, all of which will be available in Malawi. One student of Mechanical engineering will do his thesis on non glued methods of pipe connection which will be a huge help to us. I am also looking at a simpler version, needing only the most rudimentary of tools to make. All new technologies discovered will be available, by Public Domain to anyone, worldwide, who wants to use modify and develop them. At the moment we have identified in excess of 200 locations which have non functioning pumps and wells as a result of poor or un maintainable pumps. We are meeting communities, doing deals, prioritising and working towards solving the problems. They also work in Kenya, Mozambique and Zambia, so we hope to have our first few exports soon. • Model garden: Bought by W4Z in November 2007, it is run by 14 dedicated men and women, with little formal education, sharp intellects, who are learning and developing by the hour, growing plants and doing research. 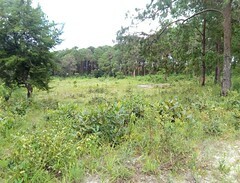 This is a six acre plot in Lusangazi, about 8km from Mzuzu and 500 metres off the M1. It is essentially a research farm looking at suitable plants worldwide to find out how they grow and at what time of year. All seeds are open pollinated, come from geographically similar regions, are grown without artificial fertilizer or artificial pesticides and are grown by a bio intensive method where plants are close together and the soil is double dug. The aim is to produce and save seeds which are then given to suitable and trained farmers locally. So far we have set up a simple watering system from a small earthen dam and a series of channels, which enables us to farm year round. Simplicity of design is fundamental which can be copied at no (or very low) cost by anyone who so desires. Where bamboo is available we use it instead of plastic pipe. All workers here are employed by W4Z and get basic pay in excess of similar workers in Government employment All their food is produced here and each day, Josephine, our cook, employed by W4Z makes a variation of meals from the farm. Recently we have moved into fish and chicken production and looking forward to rearing new variety hens for eggs. We use bought in chicken, cow and horse manure, compost everything including anything our neighbours threaten to burn and have begun growing our own manure!! How green is that? We make and experiment with pesticides from any smelly plant we can find and have had great success with Tephrosia, Tobacco, Sage and Dahlias which we apply with a soap solution. We have failed to grow good tomatoes, refusing to use all the toxic chemicals available which everyone else uses, but Benidicto is on it and we are very hopeful. We are not trying to kill all our enemies but to achieve a healthy balance. We are now trying to enlist the help of birds by growing hedges to attract them to nest!! We are also supporting the local Capuchin Parish with their new secondary school, We are also funding the secondary education of 6 girls, as educated women will educate whole villages. A local guild of women and young men are being educated in cooking, carpentry and bricklaying in the St John of God, Vocational Centre in Mzuzu, with our help. Mary is also working with this group on the establishment of a centre to provide adult education and pre schooling. Our feeling is that they have clean water, access to horticultural training, seeds and seedlings, so a bit of education won’t harm them!! We are also working with the primary schools with sports equipment, books and education in horticulture. During the summer the Blackrock Outreach boys, besides having two amazing sports days, painted four classrooms to the delight of everyone in the area. We also replaced their broken pump. This is also a project in Lusangazi about 3 km from the model garden and is another project where we are trying to meet community needs. 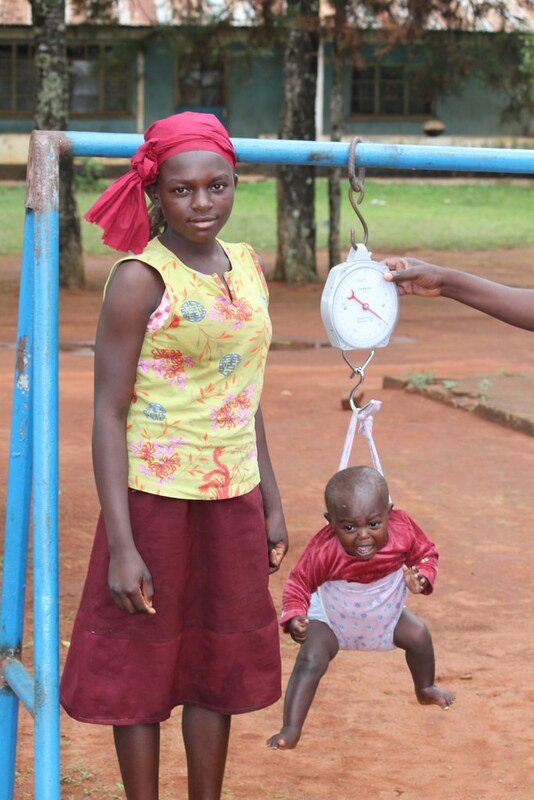 • As a result of a recent governmental edict, all traditional birth attendants have been banned and women now have to attend distant (maybe 50km) or overflowing Hospitals walking, cycling or by wheelbarrow. Anyway we have completed this building, a health post, where a variety of health activities will take place. I don’t know if Lilian will deliver babies there, but she is the number one woman with the people from the Central Hospital. The Mzuzu Health Clinic has already begun using the building to deliver its inoculation service (for the first time). The District health surveillance officer is delighted with the development and has began working on mosquito nets, soaking them in anti mosquito chemical. The building has two one bed wards, a toilet/shower area, an office and a waiting room. We now hope to add a borehole for water, a tank, a P.V solar panel for pumping and lighting and a water heating panel. The director will have a mobile phone to ring the clinic and of course a solar charger!! We have also been promised help from a missionary Capuchin nurse from their local mission. Adding a herb and vegetable garden is a must, where we will try to grow plants, rich in iron and vitamins specifically geared to pregnancy and birthing complications. I know if we can focus on this it will happen soon. • Lower Field: This is a co operative horticulture project which began at Easter 2007. The chief allocated an area of dambo land (essentially a swamp) where he admitted that nothing had grown “since creation began”. It was a major challenge which involved draining, digging and building a dam. In two weeks the first crops were planted and an irrigation process was put in place. The only cost was a few hoes and the seeds. We used farmyard manure and began a composting process. We use only compost, green manure and natural pesticides. The co operative system works well and badly as the personnel move in and out. The current issue is that our leader believes he is bewitched (swollen glands, swollen and closed eyes, difficulty walking and attending an African doctor) because he got a donation of a cow. It has seriously affected progress but may be the subject of future stories. This is the real Malawi and so close to us. The real success of this development is the copycat effect. Others have copied the system with varying degrees of success, and now most people get at least two crops per year. All that’s involved is a simple earthen dam with simple earthen channels, no cost technology, which everyone can copy. We love people to steal our ideas! We bought this last year. In one part we are planting Jatropha trees from whose seeds one can extract a type of diesel fuel. The rest we will use for fish ponds and agricultural education in association with Sonda Youth. This is a local youth project with an amazing building built by a group of Dutch Dentists, ostensibly to give vocational training to orphans. In the absence of orphans, they now take all comers of all ages (It seems). The Dutch handed the place over to St Johns Hospital and recently large funds have been misplaced and the staff in Sonda Youth have only been paid twice in the past nine months. At present 3 senior staff in St Johns Hospital, including administrator, and financial controller are in court facing charges of misplacing 69 million. Far from the ideals of the Medical Missionaries of Mary, who founded the place? In order to help we have given the horticulture people access to the upper field but will now have to add serious training to the seeds already supplied. Just another example of meeting needs. Last year we looked at the plight of 1258 pupils with 8 classrooms and felt that even simple division didn’t work here. Electric Aid emailed following an interview we had with Pat Kenny and they were willing to fund 4 new classrooms and restore the existing ones. The deal was that we would supply the cement and roof materials and the local community would supply all the labour. With nine chiefs it was difficult, blood from a stone likeness!!. We are nearly there, with the Blackrock Outreach 2009 Crew coming to our rescue with the painting, where last year’s crew helped with the construction. Sticking to your principles is tough, but it’s the only way to go as we don’t do handouts. We just waited for the local community to move and eventually it happened. Newly plastered, painted and decorated rooms should give a great boost to the staff on their return from holidays. The new school principal should also be encouraged. Salisbury Line Orphan Day-care CentreIn August 2008 we were approached by a women’s group who introduced themselves as a group with an orphan care centre looking for help. We investigated them and agreed to help. What we found was a wooden building without a roof and a group of maybe 100 starved looking little ones, singing welcome visitors we love you (which should have been enough to set alarm bells ringing but all we saw was the little ones, with their swollen bellies and rags). In November 2008 we bought a plot adjacent to their building and also the land they were supposed to own! We built a two classroom building which was opened in Feb 9, 2009 and called it Aras Kate. We returned in March to find maybe 300 children, teachers with no training and no pay, trying to cope, and Mary set about putting some shape on it!! The situation was probably typical of a type of people calling themselves groups or organisations. They have some backgrounds in minor beau racy, set up around say orphan care or orphanages, find donors, pay themselves large administration fees, deliver little of what they promise, and when the donor money is gone move on to another source of funding. Most is about money and little is about delivery of service. This is not a once off occurence, it’s part of the scenery in Malawi and I’m sure elsewhere, where poor control and accountability wastes millions and delivers little. In March with the help of our friends and analysts from the DIT student group, Mary set about employing and training eight staff (a three week course), most without formal education. I can now confidently report that this place is amazing and would rival anything of its kind anywhere. We have a great team and a hoard of well fed happy little ones. 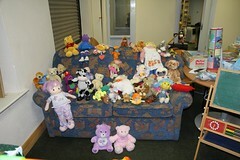 Nine staff, 250 little ones, all happy, all fed and looking well despite the deprivation of the area. The care centre operates 7.30am to 11.30am, but now it is developing a life of its own after midday. Mary invited parents to a meeting, more than 120 came. They discussed the needs of the area, brought home wool and needles, asked for primary school classes (for themselves) beginning at the lowest level. As a first activity they agreed to start with netball twice a week, a stroke of genius and a resounding success. Imagine arriving at 7 am on the day of a proposed session to find four ladies of the night, marking the pitch eight hours early! Drs Paddy and Gary, from the second Blackrock group, gave a talk on health and dental care to a packed and enthusiastic house another evening. Mary has set up a knitting club for the teen girls. As they say watch this space. The Future of Áras Kate. As I was concluding with watch this space, news has just arrived from Mzuzu. The City Assembly have taken our proposal on board and allocated an adjoining piece of land to us. If it was simple then all would be well, but unfortunately much work and wrangling has to be done now. A squatter has, illegally, assumed ownership of this land and we will have to negotiate a payment, for no other reason than we have to. At least the City Assembly will initiate the process and they say they will make the final decision in the event of a stalemate!! Harisen and Charity are on it, so all will be well. It is our intention to fund the activities of Áras Kate into the future by paying teachers/carers, providing porridge, continuing supervision, assessment and in-service by Mary Coyne of Wells for Zoe and supporting the continuation and enhancement of the school programmes. • Initially by overseeing the formation of a school management committee with representation from City Assembly and DEM office. • We then envisage an increasing role for parents by inviting them to assist in activities as volunteers, at first. • Setting up a Parent/Teacher Association to give opportunities to parents/carers to voice their needs and concerns and to enlist their support in the day to day running of the school. • Liaise with three feeder Primary schools: Katoto, Michangatua and Chibavi. • Check on progress and attendance of children transferring from Mbawemi/Áras Kate. Follow up with parents as may be necessary. • Extend the school building add extra toilet blocks, a larger efficient septic tank, build a kitchen and extend the play area. For this we will require additional lands adjoining the present school site. (For which we have already made a proposal to the City Assembly). 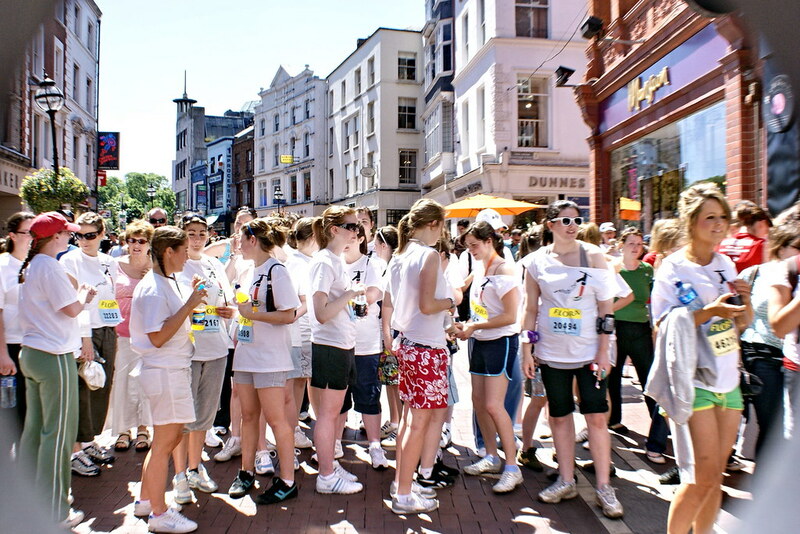 Running a facility like we envisage in Salisbury Line is a big undertaking for any community in any country and needs the help of many people and agencies. 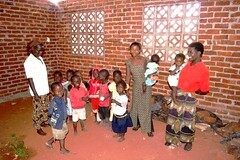 Over the coming years it is envisaged that through the School Management Committee and the Parents Association, Mbawemi/Áras Kate Preschool will become an established community based programme, reaching out to the community and managed and sustained by the community and an excellent team of trained teachers and carers. It must be a community based programme, but there are so few people with the background or skill to call on, at the moment, that it probably needs hands-on support for the next ten years from Wells for Zoe, gradually handing over to the community little by little. The director, teachers and carers have made such strides in less than a year to make this a place that anyone would be proud of, anywhere in the world. That gives us great hope. Conversely, the Mbawemi Women’s Project have delivered on none of their promises and agreements and to date have failed to contribute in any meaningful way to the management or day to day involvement in the place. We have no issues about working with them, they did after all make the start, but we would like to know how and when they might be able to make a contribution. In light of recent developments, in Malawi, regarding misappropriation of donor funding of orphan care developments, it is important that all involved in the management of Mbawemi/Áras Kate Pre School would realise the importance of transparency and honesty. Wells for Zoe will fund the project, in total, for the next five years by including it in their five year plan. Any extra funding that might become available for this programme, through the Mbawemi Women’s Project must be passed on to the School Management Committee for further development of the programme at Salisbury Line. Wells for Zoe will not tolerate any misappropriation of funds. Feeding and looking after the little ones in Áras Kate is a real joy and even though it is not the main focus of our work, it probably is one of the most rewarding despite all the hassles and difficulties. At the moment we feed about 260 each day, (well the pot is full and some days the grannies and others do better) which includes little ones, teachers, volunteers and anyone else who comes to us hungry. The meal is a porridge made from Maize, Soya, Groundnuts, Sugar, Salt and Honey. We are hoping to add a vitamin supplement of dried Moringa leaves soon. The cost of this is in the region of 168 Euros per month, which equates to about 3 cents per day. Anyone who compares how the children look now compared to last January will be amazed at the improvement. Our other cost is for the wages of teachers, carers, and a cook; ten people in total is about, 230 Euros per month. We would love if some group of people, staff, club or other could take on this task for us for a day, a week, or a month. Is there anyone out there to continue? This is a real success story involving the awakening of a community to its own potential. The impact of last year’s group has had a lasting and impressive impact on the remote, rural community in Luvuwu. The original project involved the whole community in the construction of a three classroom primary school in two weeks: no outside experts, no big fuss, no one got paid, just a real helping hand, of equals on a mission, where the students paid for the cement and the roof. In the past year, this, now fired up and confident community have built a road and a bridge, shortening the distance to Mzuzu by four miles, got the Ministry to build a dam and have got the status of a full primary school. 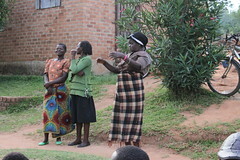 They have also worked hard on our local aids support group and food production. Just recently they have built a new house for their excellent teacher Mr Williams and put a new metal roof on the Principal’s house. They now have presses full of school books, mainly from Clontarf girls primary school, blackboards, maps and later in the year their first students will go to secondary school. This is what inspiration can achieve; no one laid bricks, plastered or did carpentry; we all did the menial tasks. We carried bricks, sand from the river, and water from the well, as part of a community. There were no handouts just a little constructive funding. 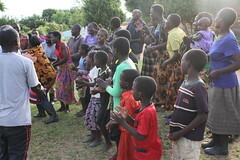 They also carried babies, played games, sang, danced, had fun and enjoyed themselves. I don’t know if anyone fully recognises the amazing students we have had as volunteers, and it’s up to every new crew to bring their individual talents and skills to the poorest of the poor and I for one have every confidence in them and look forward to being there. Their strength is in being themselves and how they relate to the Malawian people. One student Liam Stewart, a third year business student, has a the unique achievement of getting permission to do his placement with us, going out on April 7 for six months, working on putting a structure on our business efforts. This was Liam’s third visit in the year and he has made a huge impact. Summer 2009 has seen the return of a legendary figure in Luvuwu, Elaine Bolger from Blackrock, who has now become one of their own. She arrived back with books and loads of sports equipment, not to mention the two tilly lamps and parafin. Standard 8 students in preparation for their final primary school exam have decided to stay in the school overnight and the lamps are enabling them to do extra work. A little spark has lit a huge fuse in this community. They are now looking for micro credit for little businesses, advice on agriculture and irrigation and more simple help. This development has little to do with money and all to do with restoration of dignity and a small dose of inspiration, education and challenge. This is a DIT students project and we are very proud of them. Our business strategy for Malawi. We constantly mention that solving problems in sub Saharan Africa is not all about money and more money, it’s more about people. Of course anything to do with construction or transport needs money and we are so appreciative of all the support we get and all the effort people put in on behalf of W4Z..
Fundraising is a time consuming and expensive exercise and this is why we have avoided it to date. 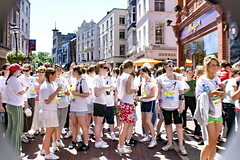 Our friends have done this for us, none more so than Blackrock College Outreach programme. The money raised has enabled us to do many simple and not too expensive programs, and other more expensive infrastructural efforts without agonising about fundraising. In anticipation of some funding shortfall, in recessionary times, we have taken the view that by careful planning and business strategies, there is potential for some of our projects to generate funds which can be ploughed back into the general fund for all projects. At the moment we are in the process of completing a four bedroom house for volunteers in one of the better areas of Mzuzu. We have just applied to build what is called, a boy’s quarters, which will double our bedroom space. Once we are up and running the local commercial lodge has agreed to rent our spare capacity. We will employ a number of people to operate the place, like, cook, cleaners, watchmen, gardeners and others who we will train and pay. This in itself is beneficial to the area in terms of training and work experiences, but also makes sound commercial sense. If we were just to rent it out, by the month, it would pay for itself in about 5 years, after which time the positive cash flow would contribute to funding our projects. Our main focus on the farm is seed and seedling production, research and horticultural education, which all cost money. The addition of fish and chickens (a natural extension of what we do) will bring in revenue from sales. We grow strawberries to produce runners and new plants, but the fruit is a lucrative by product. We also have about 600 banana trees, and so can sell about 60000 bananas each year. In the past four years, Lilongwe had expanded out of all recognition and I would expect Mzuzu to be next, thereby creating a market for much of the produce we can spare. SO the winners are all the people we will employ or subcontract or help to set up in business and all those we will teach and train: Some winners will be those who will copy what we have learned. BUT our main focus is on pumps, which are not for profit, and many of which will be almost free (except for a few days labour, some bricks, manure) or whatever will ensure the dignity of ownership to the communities who get them. 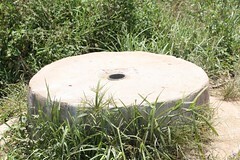 Our general and small scale village projects begin with, and centre around, a well and a pump. We are told about a need, we visit the people, assess the need, (looking at the distance to the nearest source of clean water), outline what we require in terms of digging, bricks and labour, ask them about a contribution towards the cost of the pump, like a few days labour on another project, a bag of compost, some manure, some bricks. The gesture is more important than it’s value as we need to bring the dignity of ownership and the resultant respect for the pump. There will always be little indicators in a village as to whether they can afford to contribute or not!! Having established the pump, we then discuss irrigation, seeds, education, and on a needs basis try to help further. Further association with a village is vital, as we can then monitor the pump and assist with any faults, which are rare, but a pump is a machine and you never know. Since we started manufacturing the pump in Mzuzu earlier at the end of last year, I think we have installed in excess of 50 pumps, so that’s 50 new villages and maybe 5000 extra villagers to remember! For a tiny organisation that’s a big responsibility. In most cases we are the only outside help these people get and I’m wondering how it can be done without administrators, which are such a drain on the finances of all societies, particularly those in sub Saharan Africa. People constantly ask, what we will do next and I usually say more of the same; meeting needs, but even to get incremental progress you need to be constantly vigilant. We recognise that in order to achieve lasting results, it is necessary to establish solid partnerships with as many organisations as possible. We are already working on programs that have the potential to scale up significantly in the region, we are also working some particularly innovative practices which may be replicated elsewhere. Our work with Every home Global Concern may be the first of these partnerships, where we will initially train their communities in well building, pump installation and pump maintenance, supply them with pumps at cost price, and then look at innovative methods of designing modified pumps to meet their needs by working, on design innovation, with the Engineering Department of the Dublin Institute of Technology (DIT), and other interested parties. This are has been a slow starter, from feeding them in 2007, building a dam and fish pond in 2008. (Chris and Aidan with the Blackrock Outreach 2008 group, will remember the black, dirty soggy, hole, forever) The good news is that the community have finally been inspired to build and with our help stock a second fish pond. They have also worked on the dam and added many families to the irrigation project. More children are going to school since we renewed our efforts with the primary school, and finally they have begun a nursery school. Now it looks awful and when we arrived to try and help, we found a dispute between the two voluntary teachers and the 10 strong committee. We have asked the chief (Matthews) to intervene and I’m sure that progress will be made, slowly!! Our Academic association with DIT We are delighted to be associated with The Dublin Institute of Technology (DIT). 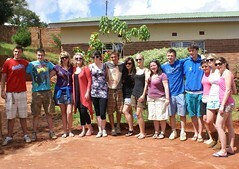 The students have been inspirational and are all now part of the W4Z family. the School of Computing, as well as Business and Marketing. Plans are underway to have a number of students on placement, with W4Z, in Ireland and Malawi next year from these departments as well as academic research and an MSc Consultancy. This is a new and exciting development and something to really look forward to, in the New Year. A woman said to me this morning: ye don’t seem to be doing anything in Malawi these days!!. Having convinced her to the contrary, I decided to write a little note. Our main focus is still on the provision of clean drinking water and to this end we are making pumps in our temporary factory since October at a rate of about 10 per week. They cost about 30 euro and can supply clean water, to a village of about 150 people. We hope to begin building the permanent factory next week, now that we have finally got planning permission. We have just begun a programme of replacing in excess of 200 failed and broken pumps installed by others over the years. New wells are dug at the end of the dry season in October. Our programme of dam building and irrigation continues as the villagers teach each other to build the most rudimentary, but effective of structures, adding fish ponds as they go. Our six acre model garden is booming (and blooming). The idea was to research appropriate, open pollinated, vegetable seeds from globally appropriate areas, to see when and how they would grow and encourage local farmers to adopt them. The type and variety varies, but last time I counted, we had 79 varieties of plant. These are all grown using green manure and compost and we control pests with brews of local plants including tobacco!! researching as we go. We don’t use any artificial fertilizer or chemical pesticides. All work is carried out by 12 men and women employees, few of whom have any formal education. It’s not easy, but it’s the only way and what they have achieved in a year and a half is staggering. Another part of the programme involves the production of improved variety fruit tree seedlings by budding and grafting, including pears and apples from Seed Savers in Scariff, Co Clare. Now that we have something to show, we offer farmers an opportunity to come and stay in our new hostel, learn how we do things, cook and eat what’s available and bring seeds and seedlings home. We are excited that Malawians can teach their neighbours. Our school programme is developing; we have finished our seventh primary classroom, done some teacher training and provided loads of books and equipment, donated by schools here. Whereas our initial focus was narrow we now find ourselves involved in meeting the needs of the people we work with. 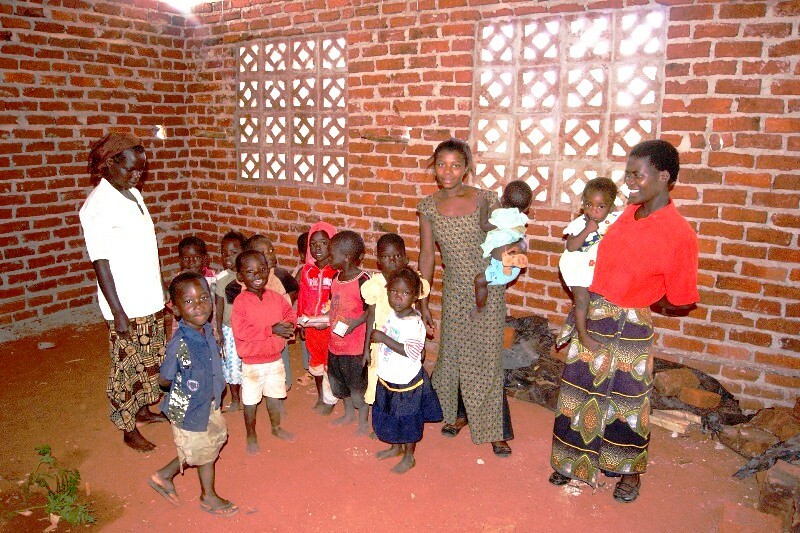 In February we opened a two classroom facility for orphan day care in the most deprived area of Mzuzu. We now have up to 250 little ones attending where we provide one meal daily which may be the only food most of them get. Our Malawian partners had agreed to run it, but without money we were left to fill the gap. Mary took on 8 employees in May, did three week’s training and Árus Kate is flying. Our latest venture is a remote, rural birthing centre. In one of our areas we found a midwife with about 10 clients per month, bringing life into the world in a building which would be demolished by even the most moderate animal rights activist. A leaking thatched roof, a concrete bed, no light, no water, no painkillers, no gloves, no aprons….. You couldn’t imagine how horrific this is; our cattle are treated better, and you thought hospital trolleys were bad! These are amazing women, illiterate but intelligent, proud and hard working, capable but deprived. They don’t want our handouts, which have robbed them of their dignity but they do need our help. We are in the process of constructing a new building, which will be approved by Mzuzu Central Hospital, who have agreed to send an ambulance for emergency cases. Last year we hit up a relationship with DIT, when 10 students came out to volunteer at Easter for two weeks. They were real volunteers, paid their own way and worked hard and made a little financial contribution to the projects. What we ask all our volunteers is to work with the people, journey with them, but always try to Inspire, Educate and Challenge, something they certainly did. The seventeen who came this Easter followed the amazing example and we couldn’t be more proud of them. Our young people are so confident, competent, loving, generous and observant. As Business students, we asked them to be analytical and critical and we have learned so much from them. 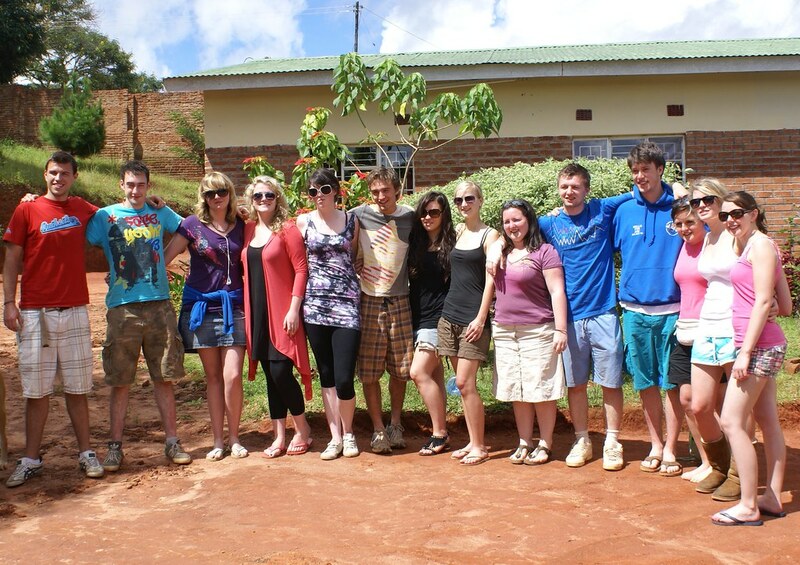 The real plus is that we have a third year Business and Accounting student, Liam Stewart, from Cavan, doing his 6 month placement, from DIT, out in Mzuzu at the moment and he is a revelation. We have also been adopted by the Blackrock College Outreach programme for the second year. This year the number has gone to 76 and they come in two groups for two weeks each to work with the poorest rural villagers. Last year they were truly amazing, they were straight into action once they arrived and as young men were a true inspiration to the youths of their own age who had never seen white people doing manual work before. Young people who give up two weeks of holiday time after their LC results, when most of their counterparts are enjoying the pleasures on the med are to be loudly applauded. Having spent 8 weeks in Malawi so far this year, we leave on July 21, for 8 more and will finish with another month in November. So we haven’t given up yet! !